Ledisi hails, originally, from New Orleans, but grew up mainly in Oakland. 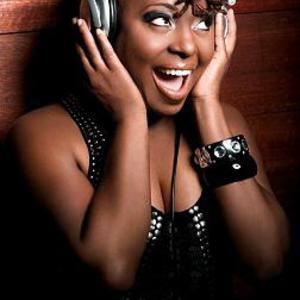 The Pieces of Me Songfacts reports that after self-releasing two albums, Ledisi signed a major record deal with Verve Forecast and released her third album Lost And Found in 2007. The record earned her two Grammy nominations, including one for Best New Artist. In 2009, Ledisi released her fourth album Turn Me Loose , which earned her a couple more Grammy nominations. Ledisi's fifth album, Pieces Of Me, was released on June 14, 2011 debuting at #8 on the Billboard 200, her first entry on the top 10 of the album chart. She and her band are from a new breed of modern soul singers (that fall into the New Organic Soul movement in the U.K.) that do not bow to the formulated 'pop' format that permeates the national charts of the U.K. and the U.S.A. Her mother sang in an R & B band and opened her daughter's ears to classical music, then to jazz and gospel. ?My mother is an inspiration to me because she was an R & B singer when I was growing up, and I'd watch her perform in the park by our house. I grew up on Earth, Wind and Fire. Tina Turner is my favorite'. As a teenager Ledisi first sang in a friend's band, but soon realised she'd have to form her own if she was going to get the creative freedom she desired. She formed the group Anibade. Anibade means ?my mother is great' in Yoruba and also happens to be Ledisi's middle name. The band the group performed at several nightspots including Bruno's, The Black Cat, and Rasselas, in the San Francisco area before, successfully, getting a local radio station, KMEL, to play the single ?Take Time', without any major label distribution. Ledisi is said to be recording a jazz record with bassist Marcus Shelby on Noir Records. That album was due in early 2000, although the set has not yet surfaced. Her first solo album ?Soulsinger', was, however, released in 2000, to critical acclaim. The album addressed several personal issues, none more so than the track ?Papa Loved To Love Me', a harrowing tale of a father sexually abusing his daughter. The track is uncomfortably close to home. Eric Ben?t and Rahsaan Patterson recently attended her groups' concerts and they have opened for Eric Benet, D'Angelo and Angie Stone. A second album entitled 'Feeling Orange And Sometimes Blue' was released in early 2002. Ledisi travelled to London's Jazz Cafe in March 2003 for more gigs following a successful concert at Subterranea in the autumn of 2002. She was supported by the Braxton Brothers along with several other performers.